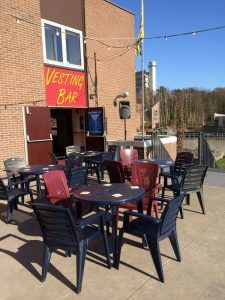 The Vestingbar has been the best known student bar on the campus of University of Twente for over 45 years. We have several areas, each with their own functionality. For the more laidback days we have “Kleintje” VB (translated into “Small bar”). This is a cozy little bar in the traditional Dutch style. It offers room for up to 30 people. 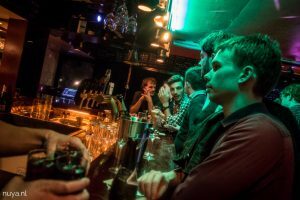 On Saturdays and Mondays we host our regular nights in this bar, so you can socialize with your friends or find to some company when are all your roommates are gone for the weekend. “Kleintje VB” has a large collection of boardgames, just ask the bartender! 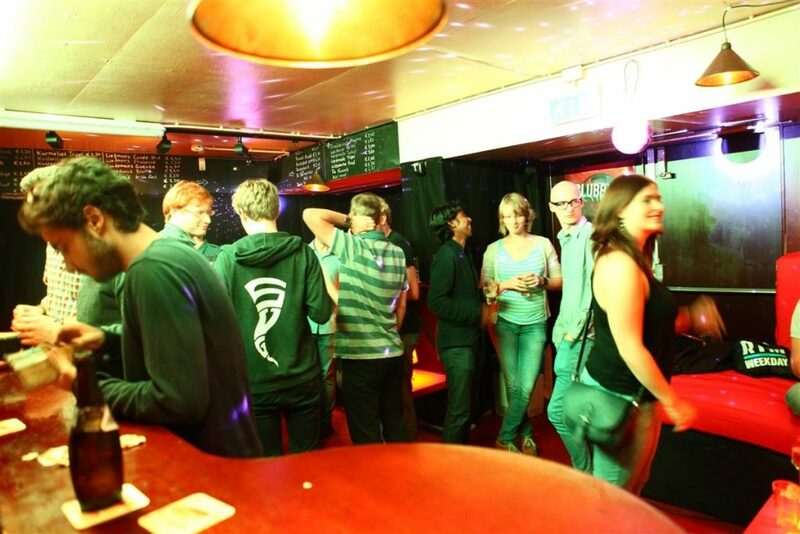 The interior gives this bar an intimate atmosphere, so “gezelligheid” guaranteed! When the weather is nice, Kleintje also has a big door to our terrace, so you can sit outside too. Because of the interior and the size “Kleintje Vestingbar” is extremely appropriate for a private event, like a graduation party or birthday celebration. You can make a reservation through this form. The Big Vestingbar holds room for more than 200 people and it has all the gadgets to make a party successful. 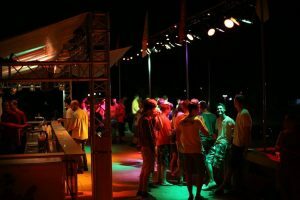 There is a big dance floor with light- and sound equipment, a DJ-booth, optional stages and enough room for other types of events. 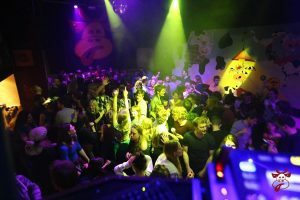 For example themed parties, live bands and amazing dance parties! 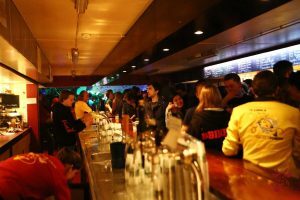 The Big Vestingbar is often used for different kind of parties, like the Batavierenrace, parties during the Kick-In and for several sport tournaments like MASS, ISSTT, ISBT, Harambix. Does your association want to host a big (private) party? Contact us and talk about the possibilities! You can find the contact information here. Before you enter the Vestingbar, you will first see our terrace. This is oriented on the south and therefore nice and sunny during the day, and sheltered in the evening. The perfect place for an summer evening with a beer and a BBQ! During the real big events this terrace is transformed within hours to an outdoor dance area with dance floor, DJ-booth and bar. This way even bigger parties with more people are possible. Even though the terrace is not used often (especially when it’s not summer), the evenings it is used are an impressive experience for guests and bartenders! Maybe it is the best kept Vestingbar secret: Amphi. Amphi is our little movie theatre, equipped with a complete cinema installation, a high-quality beamer and a Dolby Digital 6.1 soundsystem. This movie theatre has 53 cinema chairs and is often used for movie showings. It is also very suitable for lectures and meetings. It is for example possible to have your graduation colloquium in Amphi, have a General Meeting with your association or a small cultural performance. 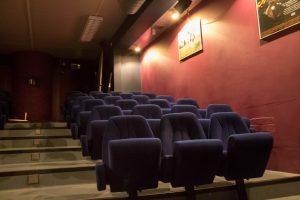 On request it is also possible to have a private film to a select audience.